I didn't take the traditional route to interior design, but am so glad to have finally arrived! With a bachelors degree in English and a masters degree in Education from Wake Forest, I have collected my share of interesting jobs over the years. A year spent waitressing in Los Angeles netted me plenty of star sightings (prized possession, an "autographed" table doodle by Anthony Hopkins), six months as an office assistant for a Congressman gave me a glimpse into the inner workings of our nation's capitol, and four years as a high school English teacher made me realize that a love of literature doesn't necessarily translate into skill at the blackboard! I finally realized my real love was design and earned a bachelor's degree in interior design from Western Carolina University. Various projects of mine have led to features in magazines such as The Wacoan, WNC Magazine, Design*Sponge and an upcoming feature in Better Homes and Gardens. 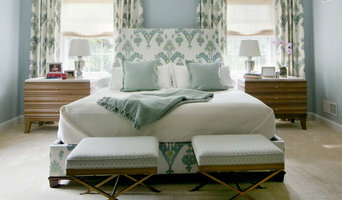 Our mission at Roost is to help synthesize our clients' tastes into a harmonious space. It's not about our personal taste, but helping our clients to discover the elements of an environment that bring them comfort and happiness. I'm thrilled to call Asheville, NC home where I live with my two faithful office assistants, Deacon the German Shepherd and Daisy the hound dog. They actually aren't very helpful, but they asked for a job title, so I obliged. 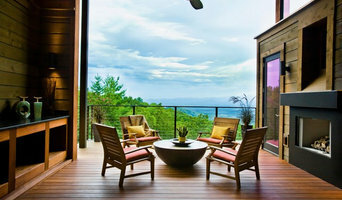 Asheville Interior Designer Best of Houzz 5 years in a row! 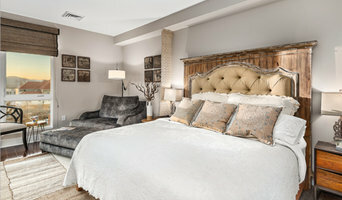 Stratton Design Group is a Premier Interior Design Firm that develops exceptional built environments for boutique luxury hotels, restaurants, spa/salons and custom residences. Offering a wide range of innovative, creative services, SDG works independently providing complete design services from top to bottom and also frequently collaborates with Architects, Interior Designers, Developers and Business or Property Owners in team settings. Alchemy Design Studio offers comprehensive interior design services for residential and commercial projects for both new construction and remodels. While we encourage clients to incorporate our services at a project's conception, we are also happy to step in at any point in the design phase. Alchemy welcomes the opportunity to integrate our services into that of an existing design / construction team or coordinate a team that best suits your needs. 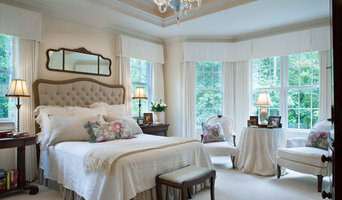 Asheville's Premier Interior Designer - 4x Best of Houzz Winner! 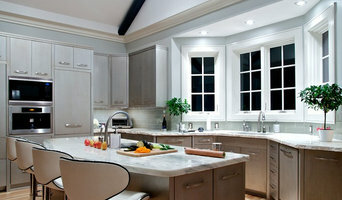 Charlton Bradsher Art+Design is an Interior Design firm in Asheville, North Carolina. For the past 15 years, Charlton Bradsher Art+Design, Associate ASID, has offered design and specification services for both residential and commercial projects. We work directly with clients, or collaborate with architects and builders. We believe our strong decorative arts experience sets us apart, and enables us to design with an art-historic eye and provide access to sources not otherwise available.